With the influx of Christian Louboutin knock offs and the courts ruling that red soles can not be exclusive to the brands shoes, one would think that the appeal and must have factor of the brand would have experienced a sharp decline. But at Notable Styles and More we believe that the above mentioned facts have had a positive effect on the brand. 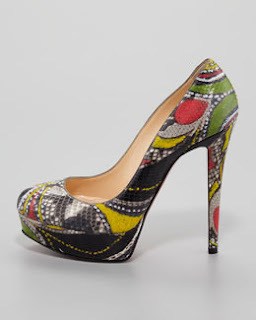 From the look of Neiman Marcus' offerings of current styles and styles available for pre-order, there are plenty ladies across the world that still are madly in love with Louboutins and want them! In this post you will see images of some of the most unique, cutting edge yet sophisticated Christian Louboutins that have been designed to date. 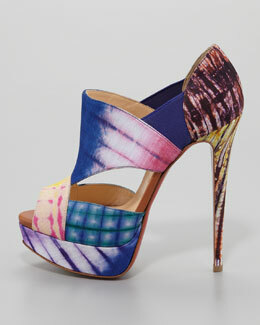 Christian Louboutin is not giving up his reign anytime soon, it looks as if he is coming for more territory!! Grab your wallets and run to the nearest stockist near you, some of these designs will go down in history.